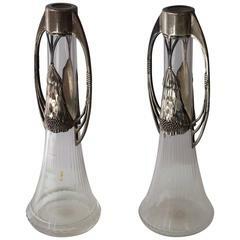 A pair of WMF Art Nouveau silver plated vases with decoration and original glass liners. 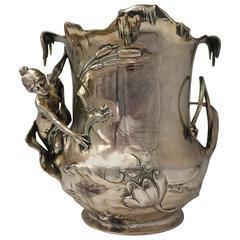 Art nouveau sculpture on a marble base. Signed Mela. Width 60 cm. Height 30 cm. depth 13 cm. Weight 12 kg.